The world we live in keeps getting more and more hectic. And summertime only adds fuel to our bustling lives, which doesn’t help when your an irrigation or lawn care business trying to get a firm grasp of who your customer is. One way to sidestep this hurdle is to conduct customer surveys. Ranking questions are great because they help you easily determine how well you’re performing. For example, we asked customers to rank us on a 10 point scale, with 10 being the best. We also asked them to rank specific features/functionality – like our support, the ease with which customers can schedule, etc. That not only gave us a broad idea of what people were thinking about us as a whole, but also a good idea of what features functionality customers like – and which need improvement. Gathering demographic information helps you determine what your typical customer looks like. For instance, we ask questions like age, gender, highest education achieved, annual revenue, number of employees, etc. It helps us figure out what our typical customer and target market looks like. It also helps breaking down and analyzing responses. We found that the people that use HindSite on a day-to-day basis rated it much higher than those who didn’t use it on a daily basis. We determined that we needed to build better relationships – and offer more training opportunities – to those people who aren’t using the software on a daily basis. This might run counter to some advice you’ve heard, but I don’t believe in keeping an annual customer satisfaction survey short. If you’re only asking five questions, you’re not really getting the depth and breadth you need to make informed decisions. For us, we asked about 25 questions, many of which were multi-part questions. It probably took anywhere from 10-20 minutes to complete. It wasn’t a 3-5 minute survey. A longer survey helps you dig deeper into issues and – as we found – didn’t really hinder our response rate. One of the reasons nearly half of our customers responded to our survey was that we incentivized them to give us feedback. Everyone who completed the survey was entered to win an Android tablet we were giving away. A little carrot can go a long way to enticing people to complete your survey. I’ve even seen companies give away Amazon gift cards ranging from $5-$20. That might be a bit pricey for the average service business, but giving away something will entice more customers to respond. Be transparent with the results of your survey. Let your team know what the results were, sharing both the positive and the negative feedback. I can tell you, it feels great to read all of the positive feedback we got. And, on the other side of the coin, it can sting to read some of the negative responses. But you don’t improve and grow as a business by living in a bubble. Take your lumps, learn from them, and constantly improve. You wasted your time conducting a survey if you don’t plan to act on the results. Put together an action plan based on the survey results. It doesn’t have to be anything significant; you can start by focusing on three key things you need to improve or change based on your survey results. 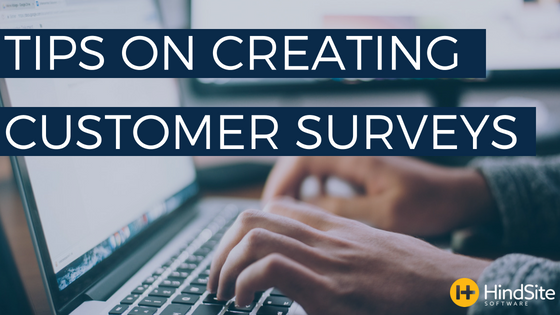 Also, if you didn’t make your survey anonymous, put together an action plan for each of the customers surveyed, if possible, or at least the high value customers. If a specific customer complained about service delays, make a point to try to correct the situation immediately. Show your customers that you care about what they say, take steps to address their concerns, and you’ll likely have a customer for life. Interested in conducting your own customer satisfaction survey? Drop us a line in the comments and we’d be happy to share our survey questions with you so you can get some ideas on how to get started. What's Causing Your Green Industry Employees to Underperform?